I really didn’t like my mid-2014 13-inch MacBook Pro. So much so, I’d put it firmly at the bottom of the list of Macs I’ve owned over the years. And that’s a long list, spanning from 1986 to present. I only bought that Mac because I was a designer making Retina apps for iOS and Mac, and I had no Retina Mac on which to test those apps properly. And if I’m being totally honest, yeah. I hated not having Retina. From the day I bought my iPhone 4, I wanted every screen in my life to be Retina. There were no perfect Retina Macs in mid-2014 from which to choose, though. So I gave up my wonderful 11-inch Air, a machine I really liked, for the clunky 13-inch Pro. In 2014, this was a machine built entirely on compromise. It was slower and didn’t have as good screen real estate as a 15-inch Pro. Meanwhile it was much larger, heavier, and more expensive than the Air. That combination of compromises made the 13-inch Pro a Goldilocks Mac for many. But not for me. I just saw all of the shortcomings. And especially after the Air, the Pro was a brick in my laptop bag every day that constantly reminded me how much I didn’t like it. It wasn’t even good at being a Retina Machine. The native resolution wasn’t a full quadrupling of the standard 13-inch Pro, so you were left with yet another ugly compromise: get true Retina graphics and have your UI blown up like a children’s book. Or go for higher resolution and accept not quite native rendering. Needless to say, the following year, when the 12-inch MacBook was announced, I sold my Pro and never looked back. I say all this because I want to set the stage properly for the evaluation of my newest Mac: The 2017 13-inch MacBook Pro. In many ways, all the same problems still exist for this machine. It’s still a giant bowl of compromises. Still slower than a 15-inch Pro. Still heavier and more expensive than a MacBook. But progress has lessened the impact of most of these compromises, and that has made all the difference to me. 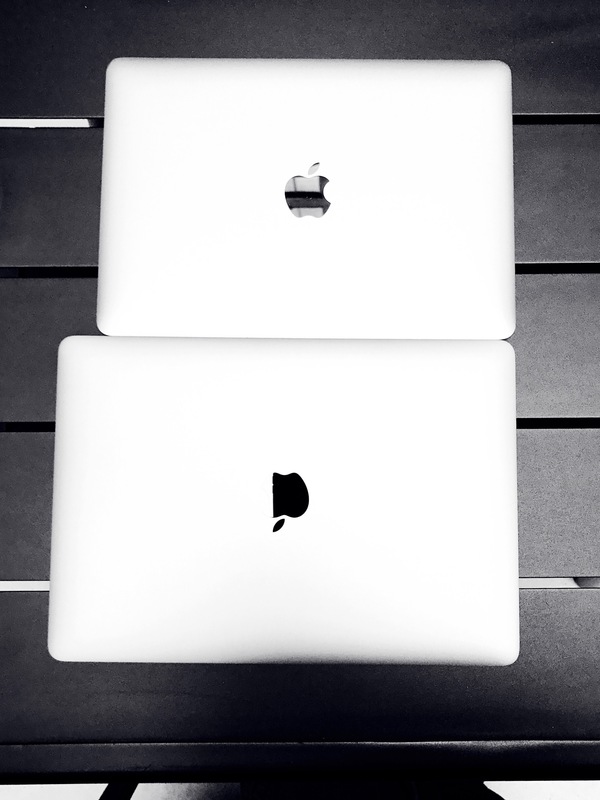 The 13-inch Pro isn’t much bigger than the 12-inch MacBook. In any dimension. This is a real feat of engineering. Given that the 12-inch MacBook is actually smaller than my old 11-inch Air was, having a Pro laptop that is only marginally larger is pretty amazing. My new Pro actually fits inside my Small Muzetto bag from Waterfield Designs, which I originally purchased to carry around my first iPad. It sticks out a bit at the top, sure. But it fits. If you would have told me in 2010 when I bought that bag that I’d eventually be carrying a laptop in it, I wouldn’t have believed you. I hear complaints all the time that Apple’s obsession with making laptops thinner is a waste of resources. Frankly, that’s nuts. I can see why some would like to see fatter, faster, larger battery-laden MacBooks alongside the super slim models, but as far as I’m concerned, Apple, you can keep slimming the laptops down. They can never be thin or light enough. Speaking of lightness: yes, the 13-inch Pro is still heavier than the 12-inch MacBook. And noticeably so. But a 1-pound difference isn’t the end of the world. To put the weight of the 13-inch Pro into perspective: it’s almost the same exact weight as the 13-inch Air. And only a bit more than a half-pound heavier than my old 11-inch Air. You can see why the MacBook Air line is quickly becoming superfluous. All of this is to say that size and weight are still a factor, but not nearly as much as they were in 2014. I’d probably still be using a 12-inch MacBook if it weren’t for Xcode. Everything I do in Photoshop, Illustrator, Sketch—and even my occasional dabbling in Final Cut Pro—I could do quite well on the MacBook. But Xcode on a MacBook, if you are working with a somewhat large project, is a problem. I do more serious work now than I did a few years ago. Build times take longer than they should. Storyboards—even relatively small ones, are glacially slow. When I had my MacBook, I always had my 2012 iMac to fall back on if I really needed speed. And that machine is still faster than the fastest MacBook Pro available. But once I decided I wanted to consolidate back to just one Mac, it became apparent that the MacBook couldn’t be that Mac. I briefly considered the 15-inch, to max out the performance possibilities. But at the end of the day, the 15-inch, slimmed down as it may be, is still too heavy and large to be carried around the city daily. The 13 may not be as fast, but it’s fast enough. So far, I have no real complaints about performance. Any Mac can always be faster, of course, but I don’t feel like my 13-inch is slowing me down at all. I purchased the fully loaded model with the fastest and best of everything, to maximize longevity. Seriously, I’m lucky to get more than two hours out of the 13-inch while working in Xcode. I get that developing apps takes a lot of power, but if I’m doing anything else, I can get 4 to 6 hours out of my battery, easy. Xcode very likely could use a little optimization. I don’t know who these people are who get 9 or 10 hours out of a laptop battery. My iPad gets that kind of battery life. I’ve never seen any laptop get anywhere near the quoted specs. And I lower the screen brightness, etc. All the usual advised methods of squeezing out more life from the battery. The screen on the new MacBook Pro is bright and beautiful. I do wish it had more pixels, though. I suppose battery and cost are a big factor for this. But as far as I’m concerned, the 5k iMac is the only true Retina Mac, sporting a full quadrupling of the original 27-inch iMac’s pixel count. I run my 13-inch Pro at the “More Space” resolution of 1680 x 1050. I know, that’s not ideal. Neither is looking at a UI that’s far larger than my perfect near sight requires. 1280 x 800 in 2017 is a bit silly to me. I’ll take the non-native rendering to get the increased screen real estate. Even Apple agrees with me, setting the 13-inch “default” resolution at 1440 x 900, at least. Maybe someday we’ll get MacBooks with more pixels. This is one place where the compromise is still glaring. I keep reading articles about the Touch Bar decrying it as half-baked. Too far ahead of its time. Not useful. In the way. And so on. I just don’t agree with any of that sentiment. I absolutely love my Touch Bar, and I wouldn’t consider another Mac that didn’t have one. Just looking at the way my hands rest on the keyboard, there’s almost no chance I’m going to accidentally tap anything on the Touch Bar. I don’t have this issue. Not all apps take great advantage of Touch Bar yet. And that’s okay. I already get tons of benefit from it in the apps that do utilize it well. As time goes on, more apps with good Touch Bar design will only add more usefulness to my workflow. And no. The lack of Touch Bar on the iMac Pro keyboard is not a signal of anything. When Touch Bar was first announced, I suggested it probably wasn’t a great fit for non-portables. It’s a matter of angles and where a dektop keyboard tends to be positioned compared to a laptop. Also, at the moment, Touch Bar is still expensive technology. Even if they don't agree that Touch Bar would be less useful on a desktop leyboard, I can’t see Apple shipping a wireless keyboard with Touch Bar in the near term. It would be $300 or more. And that, again, is fine. Power users—the only people left with a reason to buy a desktop—seem to be the ones most critical of Touch Bar. They want their function keys. Let them keep them. In time, Touch Bar will be on every laptop, including the MacBook, and thus 90% of all Macs being sold. It’s here to stay. Much negativity has also been spewed at Apple’s latest keyboard design. 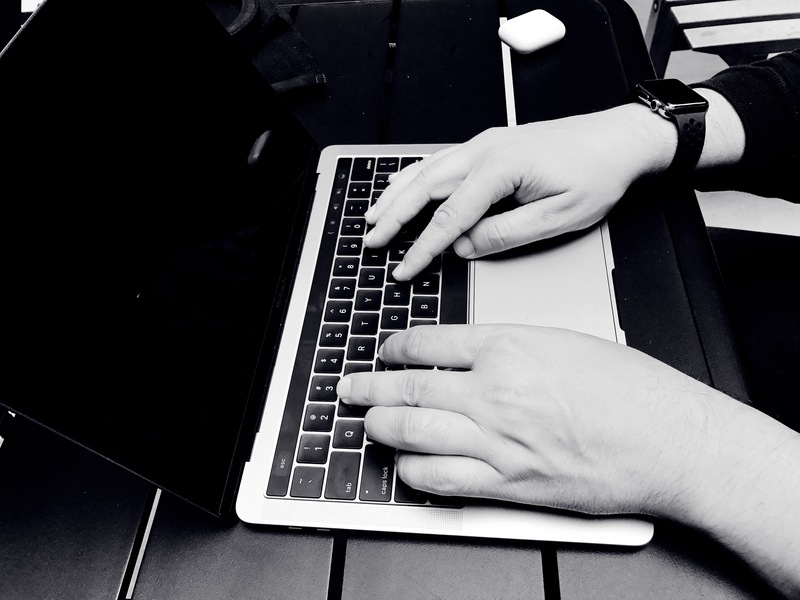 I made my case for why I like this keyboard back when I got my 12-inch MacBook. The current generation keys have a bit more resistance, thanks to some extra rubber padding that creates the illusion of more key travel. That took a while to get used to, coming from my earlier MacBook model. But I got used to it fast. All in all, it’s a great keyboard for me, minus the arrow key sizing, which is still stupid. If you like heavy cherry switches, though, you’ll likely completely disagree with me. When Apple made the big switch to USB-C on the MacBook and then Thunderbolt 3 on the MacBook Pro, many people got caught up in complaining about dongles and missed the bigger picture. In the short term, sure, there is lots of confusion, the need for new cables, etc. But over the long term, Thunderbolt 3 is the first external I/O connection that has the potential to be the only connection you need. It’s faster than any external protocol ever has been—by a long shot. Which means we can finally have one universal connector for everything. No more Ethernet, USB, FireWire, DVI, VGA, Audio Jack, S/PDIF, SD Card, and so on, all with their own special cables and specially shaped ports to plug into. One universal standard cable and port could eventually carry any signal in or out of all your computing devices. If it’s not wireless, it’s Thunderbolt. It’s going to be amazing. Since I’ve bought my MacBook Pro 13-inch, I’ve bought zero dongles. I did buy a few new USB cables with C-style connectors on one end in the short term. More recently, I picked up Other World Computing’s Thunderbolt 3 Dock. This one Dock allows me to plug in 4 external hard drives, Gigabit Ethernet, my Motu 828 Mark II audio interface, and power4, with only one cable going into my Mac. And I have several free ports to spare5 that I’m not using yet. What’s the big deal, you ask? Laptop docks have been around forever, right? But there’s never been a dock like this. When I come home, I plug one cable into my Mac, and I’m done. When I want to leave, I eject my drives (using an app called Jettison) and unplug that one cable. It’s as if I'm just plugging in the cable to charge, only I’m getting a ton of I/O along for the ride. And yes, docks are a stopgap measure, adapting the old technology to the new. 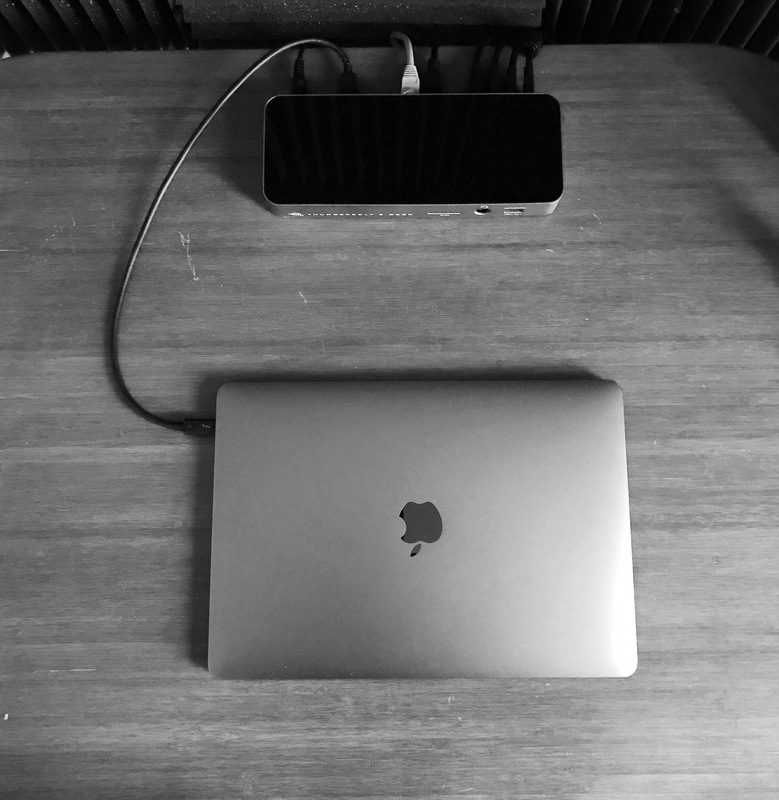 Eventually, every device I’m plugging into that dock will accept the same connector, and all we’ll need are Thunderbolt 3 hubs for connecting more than 4 devices to a Mac. In the meantime, new cables for most of your devices are already available on Amazon for around $7. This is a temporary inconvenience that is easy to overcome, with long-term benefits that are overwhelmingly positive for the industry. The writing was on the wall for MagSafe when the MacBook came out in 2015. People still complain about it, but the fact of the matter is, I like the convenience of being able to plug into power from either side of my MacBook Pro more than I miss MagSafe. Of all the compromises on the MacBook Pro, this one bothers me the least. The 13-inch MacBook Pro has come a long way, from being the least favorite Mac I’ve ever owned, to one I like very much in a few short iterations. It suffers from all the same compromises, but many of the tradeoffs have been reduced significantly. I can’t call my new Pro my favorite Mac of all time, but it’s certainly pretty high on the list. Just being my first ever Touch Bar Mac is likely to keep it there for a long time to come.